Hello and greetings from Oakland Baptist Church. I hope you spend some time today and in the days to come on our Web site. Take time to look at all the different ministry opportunities our church offers. No matter your age, you will find a place to connect in our ministry. 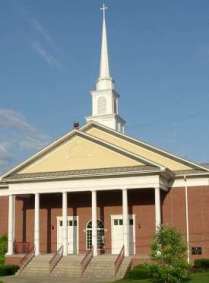 Oakland Baptist is a church that is being blessed by our Lord and Savior Jesus Christ. We are a family of God that has a desire to lead all people to a relationship with Jesus Christ and train each of them to be His disciples. We have seen hundreds of people join our church fellowship over the past several years. More importantly, we have seen many of those people connect for the first time to an eternal relationship with the Lord. We are not a perfect church but we are a pretty good one! If you are looking for a church home, give us a chance – you probably just found one! We offer Sunday School classes for all ages that begin at 9:30am. Worship begins at 10:30am. Sunday night groups meet at 5:00pm and Sunday night Bible Study begins at 6:00pm. Wednesday night AWANA for children begins at 6:00pm and youth group & adult prayer service meet at 6:30pm. Enjoy our web site and feel free to contact our church office if we can be a blessing or of assistance to you. Wondering if you have a ladies bible study through the week. I don’t get out much and I miss studying with other ladies. Sorry for the delay, we have a study at night during the week.